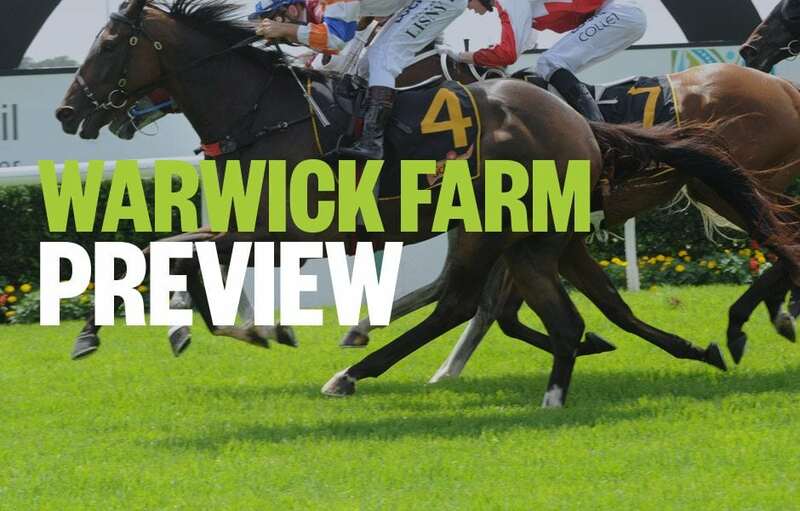 Palmerbet Racing Team previews Wednesday’s Warwick Farm meeting, with horse racing tips and analysis for all seven races on the card. Good luck, punters! Looks a race in two. TACTICAL FORMATION has placed 5 times at this level and really deserves a change of luck. Can lead if the pace is average, or just as effectively sit off speed if they blaze along. Has had 2 trials leading into this and looks well placed. BELLADEEL surprisingly, given his pedigree, led on debut and was a strong 5th this grade, wilting final stages only. Suited here and with that run under his belt, looks the one to hold out. Good maiden for the fillies. LES AMOUREUX is Oaks bound and this might be a good stepping stone. Big weight but she has been narrowly beaten at past 2 runs this grade and is having just her 4th start here. Big show. JOY’S REWARD ran on to place this grade on debut. That run should bring her right on and draw is perfect. Big danger. DAME MARGOT was thrashed on debut but reports are she has improved a lot. Watch betting. These speedy types trained by Gai and Adrian tend to do very well 2nd and 3rd starts into a campaign. So enter LUSKINTYRE LASS. She will lead and will be so fit now, they will have a great deal of trouble giving her a head start and running her down. MAIN MARILYN is 5th up and is fit too so will be right in this late while SEPOY ACHEVA is resuming but trials have been sound. Very tough race to work out. CRAFTY TYCOON is honest this company without ever winning. Is very fit though and drawn to receive the run of the race. But what do we make of the Canberra horse NOVIERO? Hasn’t raced since winning maiden here 7 months ago. His 2 trials recently have been good. Watch market moves. MARMARIS was only average when resuming but is expected to improve. Has talent when right. The consistent INVINCIBLE GANGSTA resumes here. Goes very well this grade normally and has a good first up record. HOMEWORK resumes also and ran 4 super races from 4 starts in similar company. Has the advantage of being trained here. LE DEJEUNER has a great draw and no weight on his back. Can place. This is a really even field for this grade. CORMAC with a 2kg weight relief, BULL MARKET who is 2nd up and NICOCHET who is trained here, all look the main hopes. Cormac won 2 races similar company when last in work. Resumes here and will fly late. Very even bunch – hard race to get out on. CYBER INTERVENTION came from a mile back to win this grade and trip with 56kg at Randwick last start. Goes up 2.5kg here. Suited here as it’s his home track this time. ZEPPELIN will go the front and has been racing so well of late he should take catching again. BOTTI resumed last start in this grade and was strong all the way running 3rd. Should improve even further. Big show.